It’s almost that time of year again. The days are getting shorter and cooler, Target is full of back to school supplies, and before you know it, October will be here. Also, Halloween. Most importantly, Halloween. And you know what Halloween means: Hocus Pocus. While it’s the year 2017 and we still do not have a sequel to the beloved 1993 Disney classic, at least we have some brand new Hocus Pocus merchandise. Ahead of the first Mickey’s Not So Scary Halloween Party at the Walt Disney World Resort in Orlando, Florida, Disney has shared a ‘lil peak of what we can expect when the Sanderson Sisters roll into Magic Kingdom. Last year, we were treated to some perfect costume T-shirts, modeled from the dresses Winifred, Sarah, and Mary wear in the movie. This year, Disney isn’t just releasing T-shirts, but a whole collection of Hocus Pocus merchandise. It’s Halloween time, but it sure feels like Christmas. 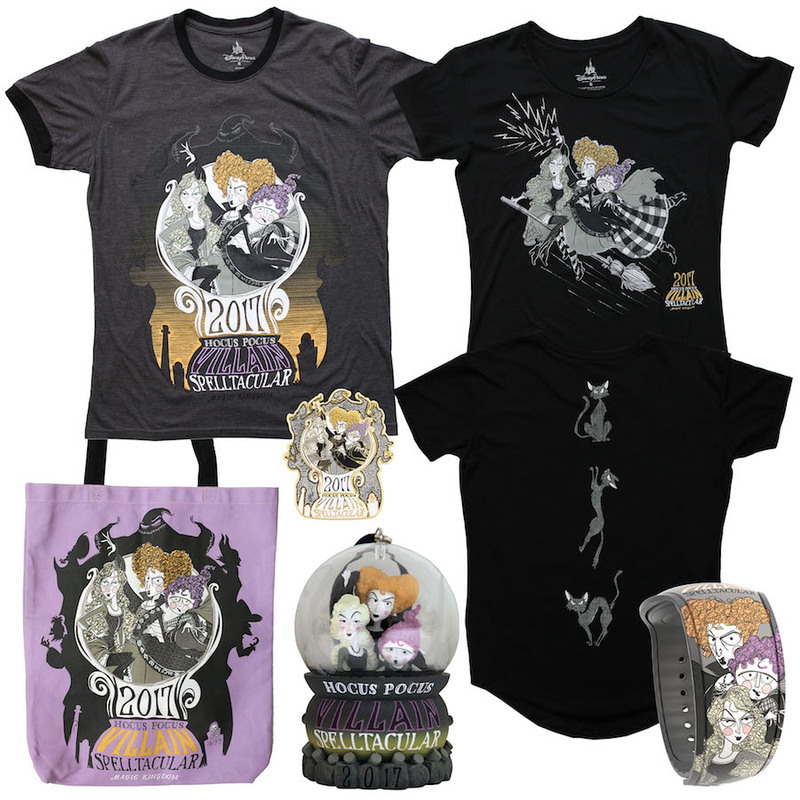 Along with two different T-shirts — both black, duh, and featuring the sisters in all their broomstick glory, plus a creature we assume is Binx, the black cat — Disney will also have a Hocus Pocus tote bag, ornament, and snow globe. Just take all our money. There’s also a Hocus Pocus Magic Band, which will come in handy as you’re racking up FastPasses visiting the Disney Parks (and can wear all year long, even after October). The only downside to all of this is that you have to be at the Magic Kingdom during one of the Mickey’s Not So Scary Halloween Parties to snag all the Sanderson Sisters stuff. The parties kick off on August 25th, and run through November 1st on select nights, and you’ll be able to find everything (while supplies last) at the Main Street Emporium. Happy haunting!